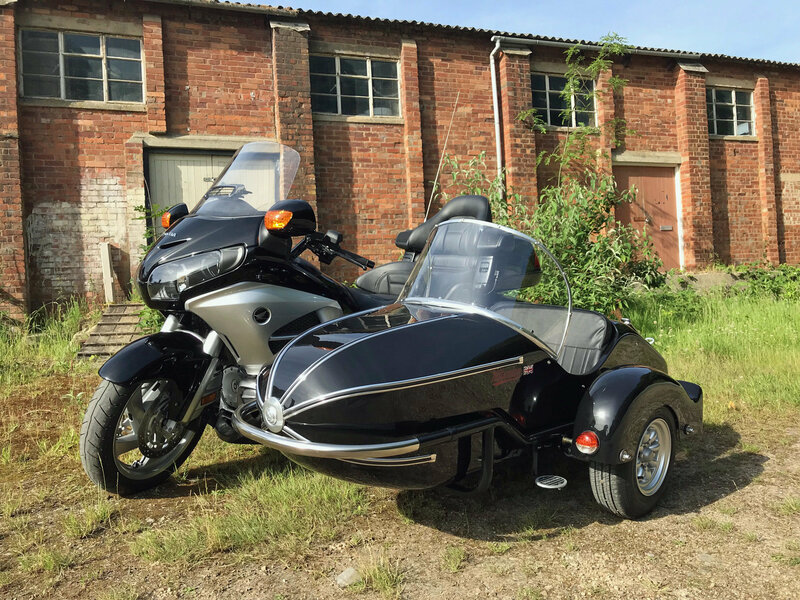 Watsonian sidecars now offer a fitting kit for the 2nd generation Honda GL1800 Gold Wing. Launched in 2001, the 1800cc Gold Wing proved well suited to sidecar work, thanks to its smooth 6-cylinder power plant, advanced suspension and reverse gear. Production was moved from the USA to Japan in 2011 and the 2012 model featured a number of updates, including changes to the diamond multi box-section aluminum alloy frame. Fitting a sidecar to a machine like the 2012 GL1800 is challenging, because the beam frame and enclosed bodywork allow no mounting points for the attachment arms, so Watsonian’s design team had to develop a sub-frame specifically for the Wing. Manufactured in Watsonian’s Cotswold factory, the GL1800 sub-frame kit mounts on existing points on the bike and allows the attachment arms to be connected in the correct positions for optimum load paths and triangulation, to ensure the sidecar is both stable and secure. 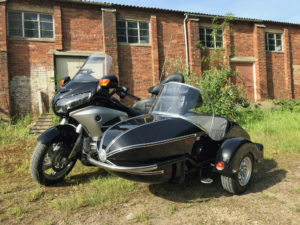 Sidecars are usually attached to the motorcycle with four arms, but the GL1800 Mk2 kit includes an additional lower arm to deal with the bike’s weight and low centre of gravity. The kit is suitable for the Watsonian Grand Prix, wide-body GP700 and Monza sidecars.